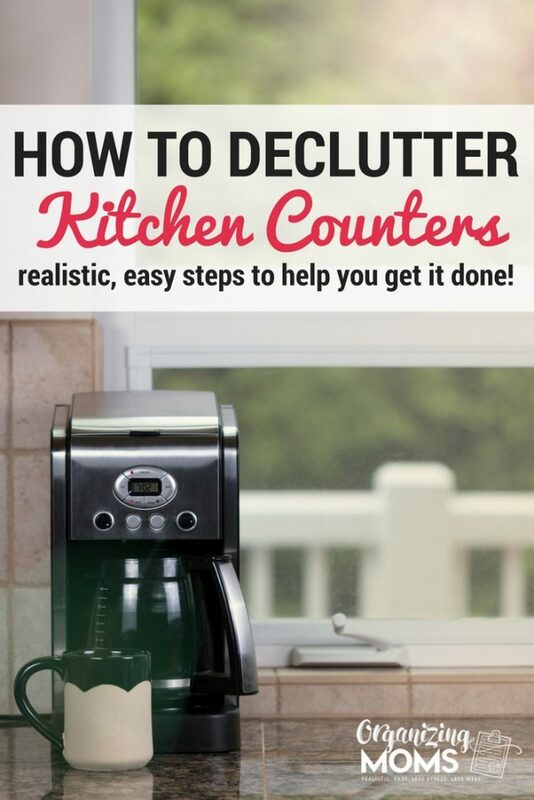 Decluttering kitchen countertops is one of the best decluttering tasks you can do, because you’ll benefit from the results of your work right away. We all spend so much time in the kitchen, so having the surfaces cleared off can make a big difference in our moods, our productivity, and our motivation to eat at home instead of going out to eat! Kitchen countertops can be the holding place for all sorts of things. School papers, books, empty cans that need to be recycled, and even straight-up trash tends to accumulate on countertops. For today’s challenge, we’re going to work on clearing them off. If you have clear (or clear-ish) countertops, you’ll feel like you have a lot more room, and your kitchen will instantly look less cluttered. 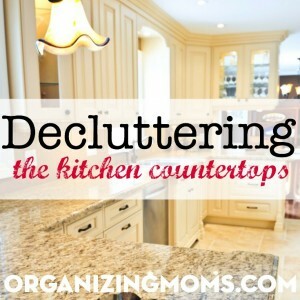 Let’s get ready to work on those countertops! Set your timer. You decide how long you want to work at this – I recommend starting out with 10-30 minutes. Begin by tackling the dishes. Put all of your dirty dishes in the dishwasher or wash them in the sink. If you don’t have a place to put your dirty dishes because your dishwasher is full of clean ones, it’s okay to spend some of your time quickly putting away the clean stuff. Scan your countertops. Put away or throw away anything that doesn’t belong there. 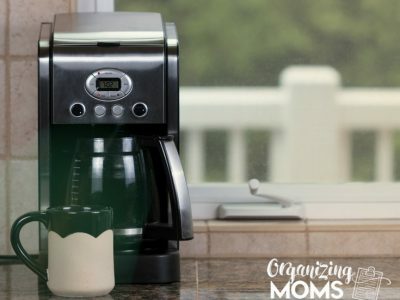 Take a good look at the things that do belong on your countertops after you’ve cleared away the clutter. Could any of these items be stored somewhere else? We don’t use things like our toaster and blender every day, so I keep them in cabinets so they’re out of the way. Move any items that you can to clear up more space for yourself. If you have any time left, quickly wipe down your countertops. 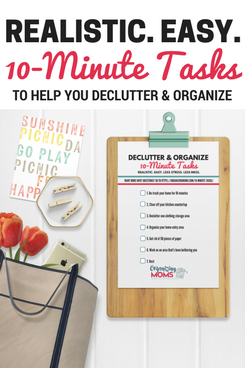 Want more realistic, easy decluttering tasks you can do 10-minutes at time? Click here to have them sent directly to your inbox!